Nice build there. 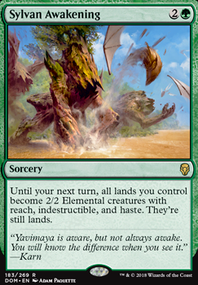 My suggestions: Take out the Hydroforms and replace them with Simic Charms. Yes, Hydroform does make flying, but Simic Charm is much more adaptable, especially for an aggro/control build - bounce their big creatures to not only stop them winning but also to pave the way for your aggro, make your creatures bigger and stop the burn. I would also reccommend taking out Frilled Oculus, because if you want aggro there are creatures you can pump more than once a turn.Berserk is a good card if you can deal lethal damage with it. 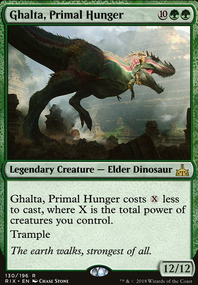 If you want aggro, I would recommend taking out some of the evolve creatures - they are for the long game as you play them but they don't get big until much later on, unless you are playing larger creatures every turn or have a big token combo on. 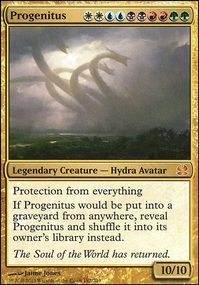 Also on the aggro, if you want to go full on, take out all the evolve and control aspects and put in things like mutagenic growth and prdator's strike. Just look at the infect decks (like mine below) for some nice pump spells. Since you don't care about legality (although it works much better for infect), Invigorate is good for that little extra damage. On top of the pump spells, run Wild Defiance to really get the damage racking up. If you are looking for more control, run some walls (e.g. Fog Bank and Glacial Wall) to trigger evolve. For card advantage or pseudo-hexproof run Monastery Siege and Pore Over the Pages. For counterspells, run Counterspell, Rewind, Arcane Denial and Remand. If you have a higher budget, run Voidslime and Mana Drain instead of Rewind and Arcane Denial also, Venser, Shaper Savant. If you want elementals, any out of Nissa, Sage Animist Flip, Nissa, Steward of Elements, Nissa, Worldwaker or Nissa, Genesis Mage is a really good option. 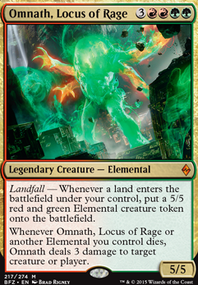 Also on lands, if you have enough mana, run Liege of the Tangle and some unblockable spells (also see my infect decks below). Also, run more lands - 12 lands is NOT ENOUGH! I recommend a playset of Simic Signets and at least one Gilded Lotus, and possible Simic Keyrune and Thornwood Falls instead of or as well as Simic Guildgate. Run a minimum of 20 lands unless your deck is at least 1/3 mana rocks. This is a nice idea, so I hope I have improved it for you. Thanks Hyperalgialysis! I couldn't resist a Monty Python joke for this "lands" deck. 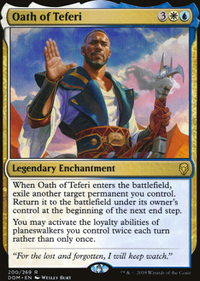 I have tried using some walkers like Xenagos, the Reveler in the past, but I have never been that impressed by walkers in multi-player commander. I find that most walkers just die right away. 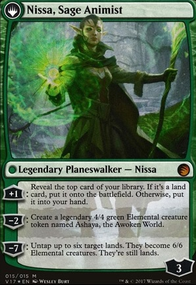 Nissa, Sage Animist Flip I keep because of how well she plays into the deck's theme and the card advantage she provides. 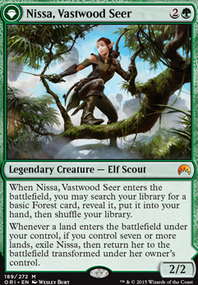 That being said, Nissa, Vital Force might be worth a try. I don't run enough swamps or mountains to make Koth or Liliana worthwhile, but if I eventually include Prismatic Omen they might worth revisiting. Darksteel Citadel and Cascading Cataracts works with stuff like Elemental Uprising and the ultimate for Nissa, Sage Animist Flip.Cascading Cataracts also provides colour fixing in a pinch. Nissa Flip's ability does not change the color of the lands. 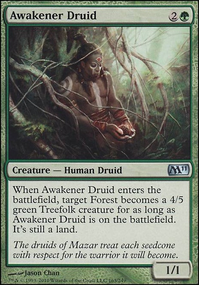 Most of the time lands are colorless, so they will still be colorless when they are creatures. Selesnya sanctuary is not great, as it slows down your turn two play. Turn two is a vet important turn as a decent chunk of your ramp (as well as your commander) are turn two plays. Tectonic Edge is a good card as it give you a bit of land and isn't too expensive to buy. I would recommend switching them. Rampant growth is good, however if you can a Nature's Lore, do that. Kami of false hope is a bit overkill given you have Spore Frog who is the better option as well as a bunch of ways to tutor for him. Reclaim is ok, but Noxious Revival is so much better. It's a bit expensive for an uncommon but it's basically free and doubles as temporary graveyard hate. I'm not a fan of persist combos in the deck. They don't work with Saffi or any other recursion combo and without access to Murderous Redcap they don't generate a win condition without Blasting Station or Altar of Dementia anyway. Plus you're hinging everything on Cathars' Crusade with redundancy on it. But adding redundancy means having potentially "dead" card in your deck. While having additional combo in your deck is nice, the fact that they have no iteraction with your primary combo is not good and in my opinion at least, a waste of card slots. This also means that cards like Fanatical Devotion are completely useless (whooo, you can infintiely regenrate creatures, yay...). Ultimately, your win condition comes almost entriely from Blasting Station and Altar of Dementia so without access to these, the deck struggles. What I did with my deck was to cut a lot of the non-core combo pieces (both creature and otherwise) and just focus on the core combo package as there is an awesome amount of interaction between the recursion pieces. Then I used all the additional card slots I had freed up to add creature tutor and raw card advantage. This in turn helps the deck find its combo pieces better. 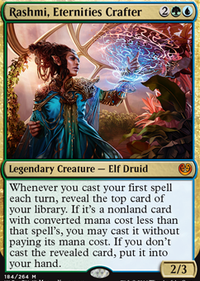 That's why I run cards like Eidolon of Blossoms (which is a lot better than a lot of people think), Nissa, Sage Animist Flip, Stoneforge Mystic etc, as well as lands like Mikokoro, Center of the Sea, Horizon Canopy, Inventors' Fair (which you should seriously get a copy of) etc. But I appreciate that a lot of those cards are quite expensive to buy. On that same note, I don't like Mirror Entity. 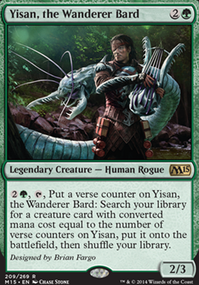 It's quite complicated to get a combo with it working and while it's cute as a beatstick, you're not running Avenger of Zendikar alongside it so it loses a lot of its potency. Anyway, I hope this has given you some iedas and insights, but feel fre to hit me up if you have more questions. I can take care of those. I did just submit Nissa, Sage Animist Flip too!